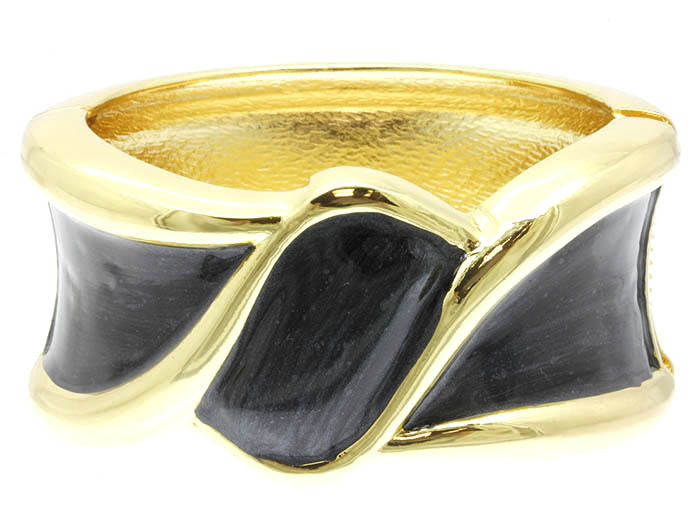 A twist of classic black and gold for your wrist. The Elizabeth Bangle Bracelet works perfectly in the evening as a simple statement of whispered glamour. Grab your favorite fashion accessorie whilst online jewellery shopping with us.